Steve Koski & Andrew Craig join Jake to talk about reloading for beginners. Jake - Trenching Ethernet/coaxial to the new studio - more work than I thought. Steve - Bought G17 for son to shoot, ordered misc. parts for some competition guns Travis and I are building, went on a hike and shot my Glock 34 up in the mountains. 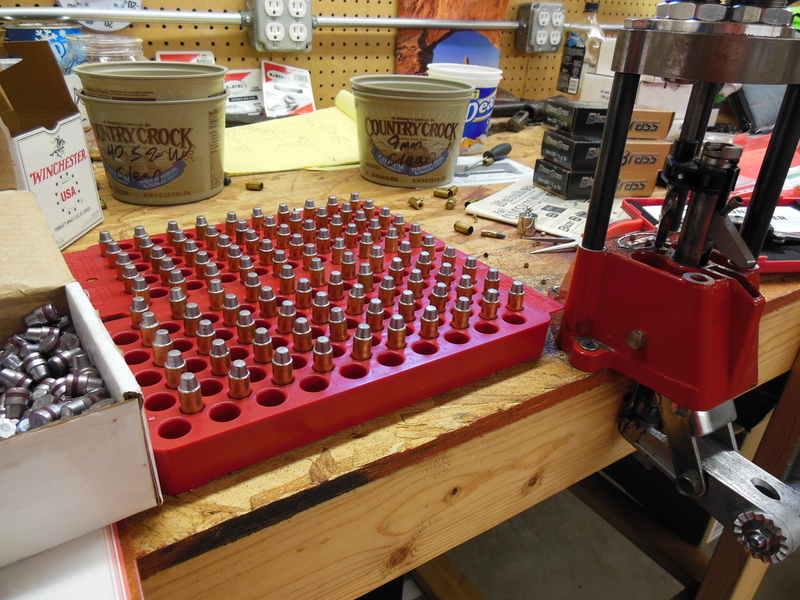 Main Topic: Reloading for beginners What the heck is reloading? Is manufacturing your own ammo legal? Is selling reloaded ammo legal? Lube: Hornady One Shot - Not required, but makes it easier to work the press handle. Listener Q&A: Dan writes: Hey guys, Just wanted to get your opinions on the M&P Shield. Just got it 2 weeks ago and have only put 150 rounds through it. Have you shot it or held it yet? Where do you find the balance of buying more magazines or more ammo? I need both!!! Also, I'd like to highly recommend the Butler Creek Upula mag reloader. Best $30 you can spend on amazon. Makes reloading a breeze. Thanks Joe writes: Why the God and Guns episode? Why can't I just find a podcast that doesn't shove either politics or religion down my throat? Who cares about misconceptions of Christians and self defense?! If I wanted to hear this, I'd talk to my Grandma. We irreligious like guns too, sans the prostelitizing. Think about the logic here: if you have 5,000 listeners that are multi-denominational, what's the point in alienating many of them with the topic of religion? Don't for a second think that the topic is any less divisive than politics. You guys had me at No Politics, but lost me after this episode. I am a long-time listener too. Good luck.